5 Minutes10 Minutes30 Minutes1 Hour2 Hours5 Hours1 Day2 Days3 Days1 Week2 Weeks Email Me! This course is aimed at individuals and teams new to Scrum and Agile Software Development or teams that need to level-set terms, understand the principles that drive Scrum and create a common understanding of the roles, meetings and artifacts of Scrum. We believe that the key to a successful Scrum kickoff is a clear and universal understanding of the principals and practices of Scrum on the team. We also believe that while reading about Scrum is a good place to start, the level of understanding that is required to be successful is only achieved by doing Scrum. This workshop puts the participants into a Scrum driven project. The problem domain is one that most participants have never dealt with, thereby creating the opportunity for all participants to learn. When the goals of the Scrum project are presented, the participants know very little about how they will create a workable product in the short time they will have to complete the project.By using agile analysis, agile planning, effort sizing and team work they work together to create a product. Most participants are surprised at the results of their project. This course is intended for software development teams and professionals. Scrum can be used on other types of projects. Consult with your Effective Agile Development Enterprise Coach for information about customizing this course for your team and organization. All seats in this course include access to the Certified ScrumMaster exam at no additional charge. Completing the in-person class and passing the test are required for Certification. The exam is taken online via the Scrum Alliance, on your own time following the class. You will have 2 attempts and 60 days to pass the 35 multiple-choice question test following the class. Our trainers will be available to help you if you have trouble with the exam. How is a ScrumMaster different than a Project Manager? 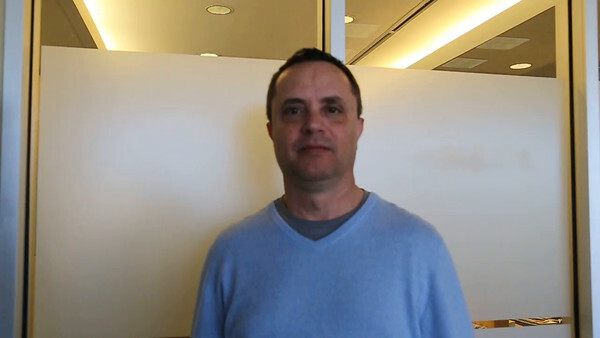 Click on this video hear Jon Robbins of SolidifiyHR in Kansas City KS talk about our Certified ScrumMaster Workshop. Jon says "our first release under the program was transformative for the business, the client was extremely happy", after the team completed the Certified ScrumMaster Workshop. Effective Agile Development offers special discounts for veterans, prior students, PMI members, ALN members, and the long-term unemployed. Discounts are NOT cumulative; only one discount will be granted per person. Discounts are granted at the sole discretion of Effective Agile Development on a per course basis and can be denied for any reason. Please note discounts are applied to the full price registration only. Early purchase or special programs with your group may result in a lower price. Effective Agile Development reserves the right to limit the number of discounted seats in any one class and if the class you request exceeds this limit, we will offer you an alternate class date for the same course. Applications for discount must be submitted at least 7 days before the scheduled event. After you have completed your application, please wait to receive a coupon code by email if you have been approved. As discounted seats are limited, your application does not guarantee that you will receive a discount. Teams of 3-5 - $849 per attendee. Teams of 6+ - $799 per attendee.